If you play cricket, regardless if you are a novice or an expert in the sport, a high-quality bat is one of the essentials in your roster of equipment. The right choice of a bat will have a huge impact on the way you will perform, which makes it critical to choose wisely. With the abundance of the possibilities, you should not only pick one that comes with the cheapest price. Do your research. Know about the history of the company. Learn about what other people are saying. Even if you read online reviews, you will see that Kookaburra cricket bats are amongst the most popular in the marketplace. The brand is one name that is unrivalled in the global market. With its presence all over the world, many seasoned cricketers have experienced using exceptional bats from the company. While the Kookaburra bats have different characteristics, they also share some common features. For instance, one of the common denominators is that they are made using English willow. The wood is known not only for its appearance, but also for its flexibility, which can offer the benefit of control and speed. Plus, it is durable! It will surely withstand demanding use, even the most intense games. Another thing that is exceptional about Kookaburra cricket bats is the fact that they are hand-made. This makes sure that attention is given to every detail – from the assembly of the raw materials up until they are finished before they are packaged. To add, they have also undergone rigorous tests to make sure that they do not only meet, but even exceed global standards. From the company’s products, one of the latest to be released is the all new Fever model. The Kookaburra Fever 800 is an excellent option for those looking for a light weight bat. The 2018 Fever comes with cutting-edge graphics and an all new profile which gives it a distinction. It is integrated with a Powerdrive handle, which is the preferred choice for traditional cricketers. The angle toe is another excellent feature, which allows the bat to comfortably sit while being slightly ahead of the blade. The weight is redirected from the toe to the swell, which also means that you can expect to transmission smoothly in every stroke. At the same time, during bigger shots, you can expect low sweet spot. From the Ghost bat line, meanwhile, one of the favorites is the Kookaburra Ghost Pro, which also happens to be the most expensive. Do not be discouraged by its price. It is a top-of-the-line bat that is made for discerning cricketers who won’t settle with anything less. It is designed to deliver the best performance in every match, making it ideal for competitive plays. It comes with huge edges, which will make it heavy-performing. To make it even better, it is inclusive of a bat cover! Another popular option is the Kahuna line. 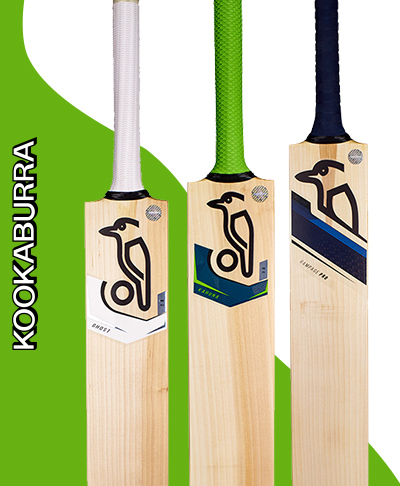 From the latter, one of the bestsellers is Kookaburra Kahuna Pro. A lot of people do not mind its steep price, especially considering the fact that it can deliver an unmatched batting performance. For more than a decade, this has been one of the faces of Kookaburra in the market for cricket bats. It has been continually improved based on the feedbacks of its users. It comes with a massive big edge profile, which is basically the one responsible for maximizing sweet spot and improving balance. You might also love the Verve line, especially the Kookaburra Verve Pro Cricket Bat. It has an ergonomic design, making sure that your hands will be positioned ahead of the ball, which will be crucial in the improvement of your stroke. Need another reason to choose this cricket bat? Well, it might help to know that it is the bat of choice of Jos Buttler, a batsman from the Lancashire Country Cricket Club. This is a testament to its superior playability and performance. Are you looking for Kookaburra cricket bats? We are here to offer a huge selection of products that are available at affordable prices. Regardless of the type of the bat that you need, we got you covered. We offer a detailed description of each bat so that you will know what to expect from every model. Whether you choose the Kookaburra Ghost, Kahuna, the new Kookaburra Surge or any of the other models, Kookaburra cricket bats are not just about the looks. The light pick up, the large thick edges and the great power from the middle is why they have always been a firm favourite with our customers. 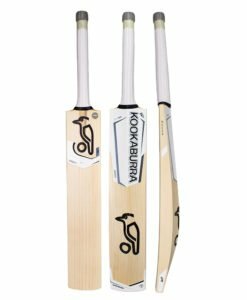 The consistently high quality and performance levels that we have come to expect from Kookaburra continue year after year.